Dyes are an important ingredient in many of the medical tests. Many of the tests that are carried out on patients use the dye to get accurate results. 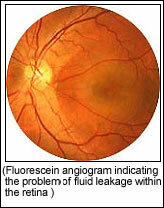 One such example is that of Fluorescein angiography. 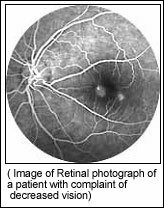 Fluorescein angiography derives its name from fluorescein, the dye that is used is very successfully for carrying out the tests. Angiogram is a very valuable test that gives information about the circulatory system. The work process of Fluorescein angiography test: First a special dye, called fluorescein is injected into a vein in the arm. Within seconds, the dye reaches the blood vessels inside the eye. A camera with special filters that will highlight the dye is used for photographing the fluorescein as it keeps on circulating through the blood vessels in the back of the eye. The dye has the ability to detect abnormalities like circulation problems, swelling, leaking or abnormal blood vessels, which it will show in the photographs. The doctor then decides on the diagnosis, and possible treatment options.